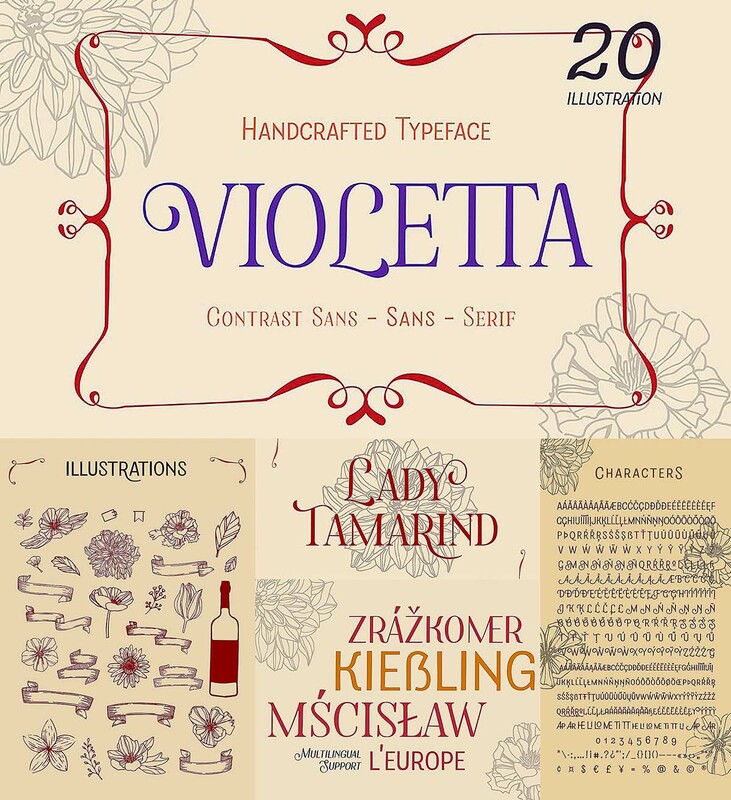 Violetta is a group of an All Caps sans-serif, serif and contrast handcrafted typeface. 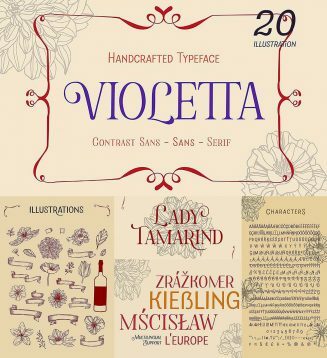 Violetta has also following with extra line art flowers and ribbons to make your design more beautiful and sophisticated. File format: .eps, .ttf, .otf for Photoshop or other software. Tags: blog, flower, illustration, lettering, quote, sans serif, travel, typeface, vintage.